I have had in captivity a single Northern Brown snake since September 2013. The snake was acquired from a Western Fairfax county park where I am employed as a part time Naturalist. Brown Snakes are nonvenomous snakes and about the thickness of a pencil and growing in length to max of 19 inches. They are generally brown in color with two parallel series of small dark spots running down the length of the back. A lighter stripe or color may run inbetween the spots giving the appearance of a stripe. 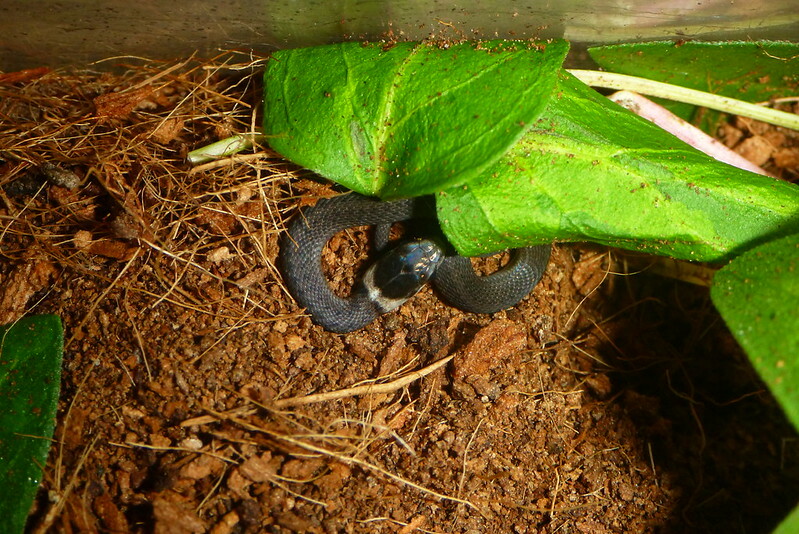 They also have a relatively large eyes for a small snake indicating that they may prefer to most active at night. 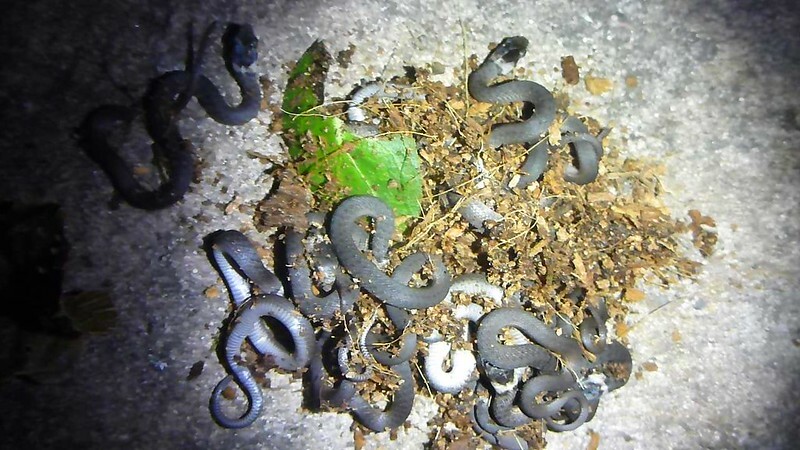 They feed on invertebrates like worms and other insects. Reproduction begins sometime in March and continues through May. Gestation occurs from 100-110 days. Young are born live, viviparous, and look somewhat different than the adults. Color are usually darker than the adults and if one looks closer can see the pattern of spots as in the adults. The young, however, do have a distinct “collar” or ring around the neck region which is lost in the adult stage. 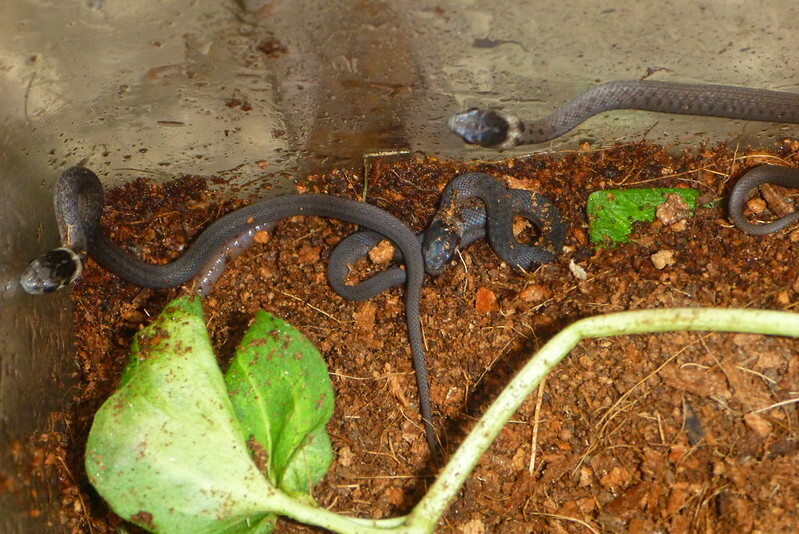 The video below shows the release of the neonates or young snakes back into he area where the adult was originally found. Northern Browns have been recorded of giving birht to 20+ snakes. In this instance there were approximately 13 a typical size brood for this small animal. This entry was posted in Uncategorized by Mark Khosravi. Bookmark the permalink.